Nigeria, Africa’s largest economy is a country with boundless opportunities. As a growing economy, the opportunity to create and multiply value is quite immense and many foreign investors have been huge beneficiaries – generating results beyond their projections. The terrain is however often shrouded in what many see as mystery. There are many reasons analysts churn out as barriers to investments in Nigeria. For example, a commonly quoted obstacle is the erratic supply of power and how it has driven up operating costs. Yet, over a decade ago, the leading Telco in Nigeria was trucking diesel to over 5,500 base stations daily and still made profits in excess of £1billion. A mid-sized manufacturing firm in the confectionery category has been growing at over 100% annually with revenues hitting the ₦1billion mark ($3m). They have since maxed out on their production capacity and yet unable to meet demand for their product. There are many of such stories and opportunities waiting to be unlocked with capital to create massive value and returns especially in middle market. A leading private equity firm within the region invested about $40m in the first grade-A retail mall in Nigeria. Within a year, they exited with 74% IRR growth and cashed out almost double the initial investment. There are many industries that have attained premature red oceans due to funding gaps – leaving massive opportunities untapped. 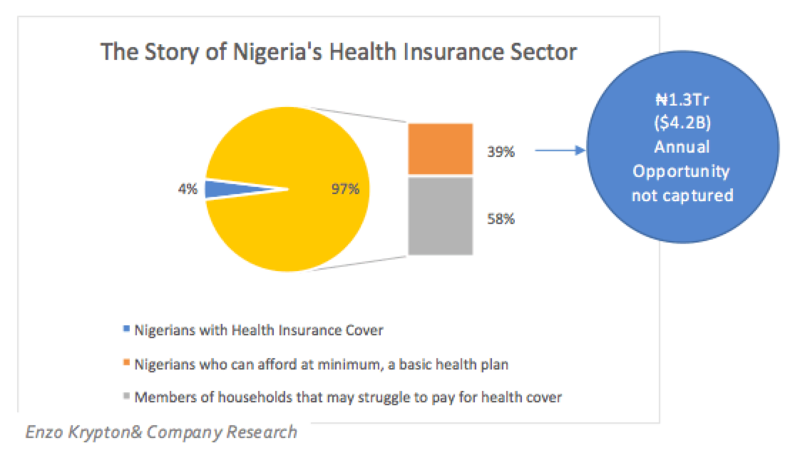 An example is the health insurance industry whose growth has stagnated for over a decade with less than 4% penetration. Nigeria however continues to suffer from huge funding gaps for a variety of reasons. We have in-depth knowledge about the Nigerian business landscape, the inherent challenges and how to navigate through the façade to excavate true value. The unbalanced story in mainstream media that amplifies the poverty in Africa is blinding many investors to real opportunities within the continent. It is possibly still the poorest continent but the poverty story needs to be put in proper perspective. Nigeria’s middleclass population (which has been on the growth curve) for example is larger than the entire population of many European countries. Generally, there is an implication that there is higher buying power in Nigeria than many European countries. Many brands have in fact found that local knowledge can help rejig their strategy to in fact extend the boundaries of their target market significantly.